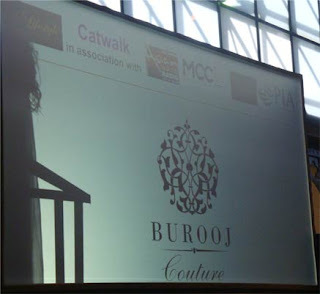 Burooj were the big surprise for me at the 2011 Manchester Asian Lifestyle Wedding and Fashion Exhibition. 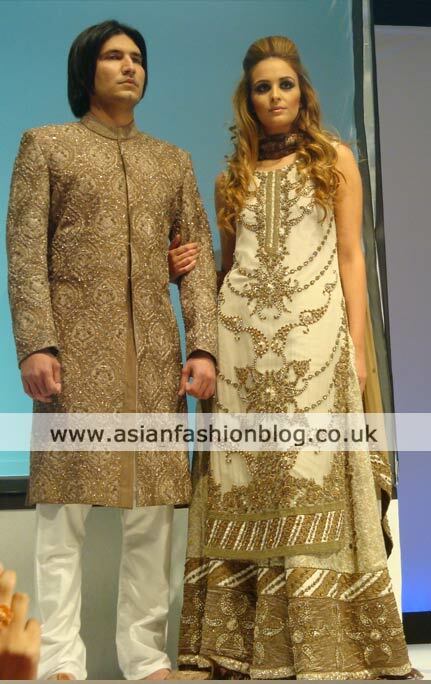 Having been impressed with their menswear line in the past, I was blown away by their bridals and formal outfits. 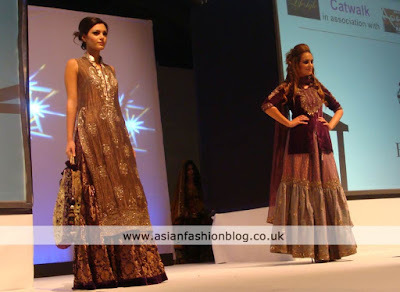 I liked every single outfit from their collection - it was the colour choices, the textures and the overall look they created. I liked the accessorising with matching bags, even though I'm sure most brides would opt for a more discreet handbag on their big day! 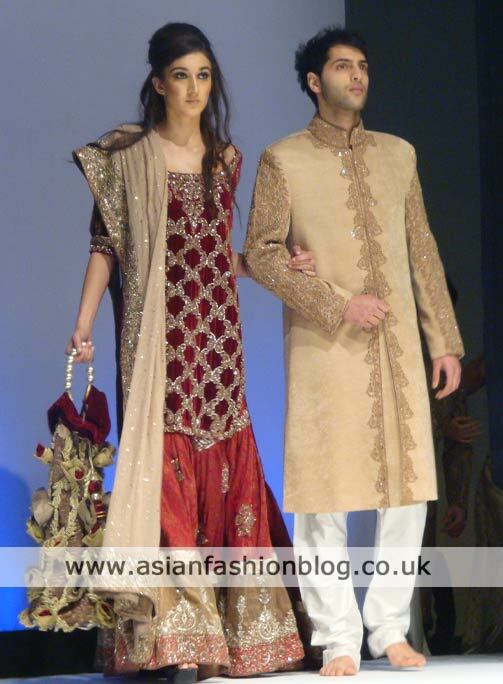 Their bridal couture line, which only launched last month is available from their Wilmslow Road branch by appointment. 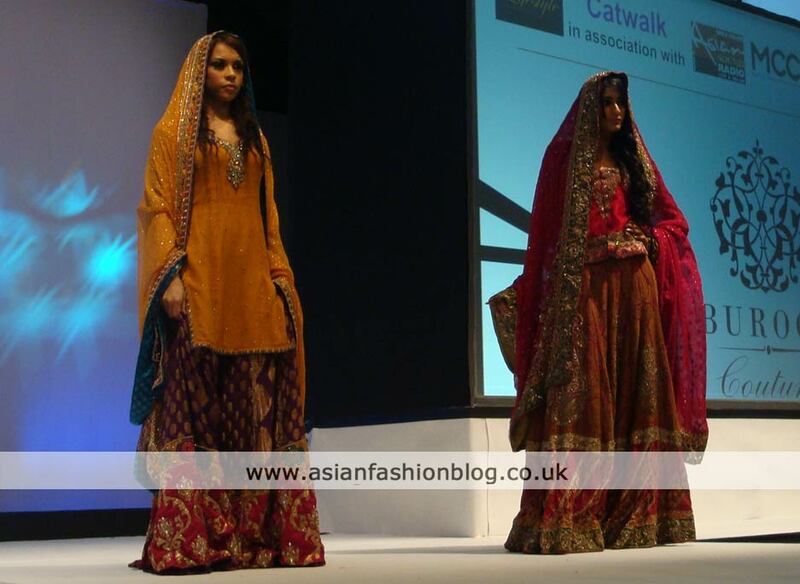 Prices start from around £1200, with each custom outfit taking around 8-9 weeks to complete. I was a bit too busy gushing over the ladies outfits to notice the menswear, but for any grooms who want to co-ordinate with their brides, their groomswear sherwanis start at around £400.